The people have spoken! I have asked on social media and you have all told me your favorite Disney snacks! Check out 20 Snacks You Can’t Live Without At Walt Disney World to find out which snack reigns supreme! I am a huge snack lover! Probably not my best quality, but I am sticking with it! 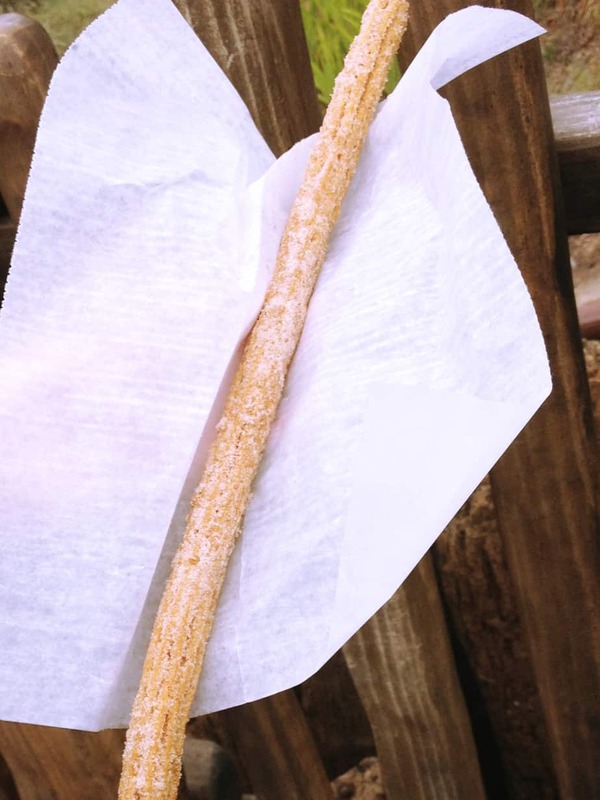 I asked you all in our Facebook Group, Disney Express Lane and Instagram, to tell me about your favorite snacks at the Disney Parks and you all definitely delivered. Some of your favorites were the classic snacks that I was expecting, but there were quite a few original suggestions. All sound yummy and as I am writing this post, I am ready to go to Disney World and try them all. I can’t wait to satisfy my snack habit! Turkey legs from the Yak & Yeti Quality Beverages in Animal Kingdom are always a hit if you like turkey on a stick! Macarons from Les Halles Boulangerie & Patisserie in Epcot’s France Pavilion I hear are awesome. Mickey Pretzels were next on the list! 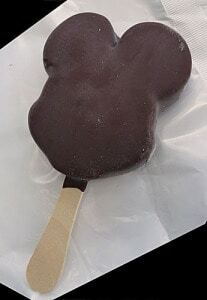 Everyone loves a salty treat in the shape of Mickey Mouse! 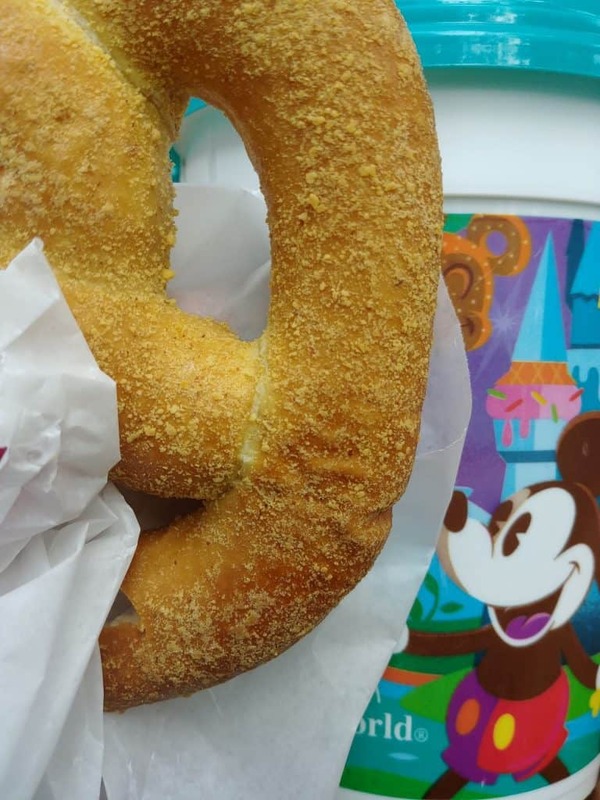 This particular one is a cream cheese pretzel…OH MY DISNEY!! 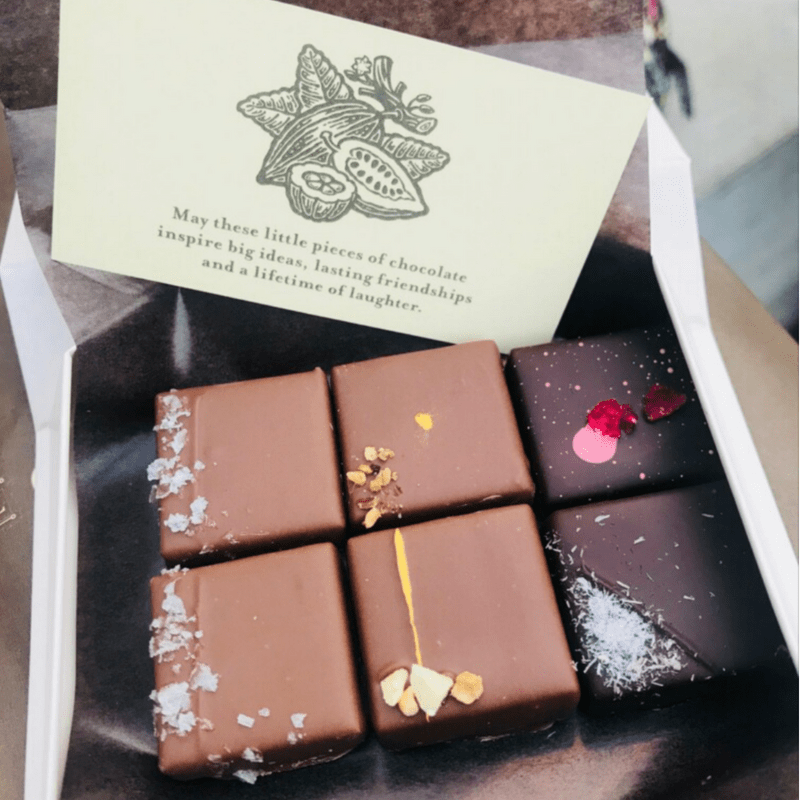 ANYTHING from Amorette’s Patisserie in Disney Springs is great for those chocolate lovers! 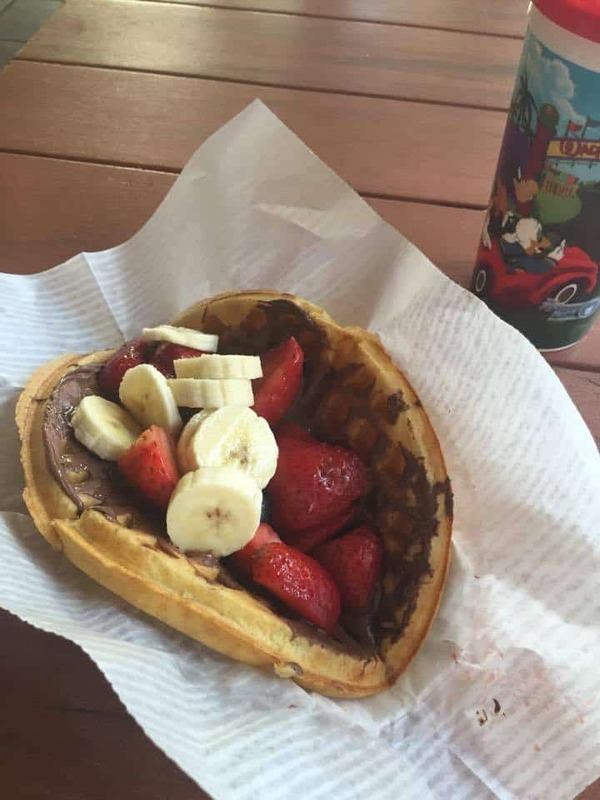 Go to Magic Kingdom’s Sleepy Hollow Refreshments and find a delicious Fresh Fruit Waffle with a Chocolate Hazelnut Spread! Let me just say, be prepared for the amount of food that this is! I may or may not have had problems with my pants zipping after eating this! I was kind of surprised that popcorn made the bottom of the list, but many of you said you love getting popcorn in the seasonal take-home buckets. This is a great value especially when you get the food and a souvenir! Don’t forget about the gourmet popcorn at the Gourmet Popcorn Cart in Future World Epcot. It comes in three flavors: Cheddar, Buffalo Bleu Cheese, Sour Cream and Chive. Popcorn is also a CHEAP EAT! 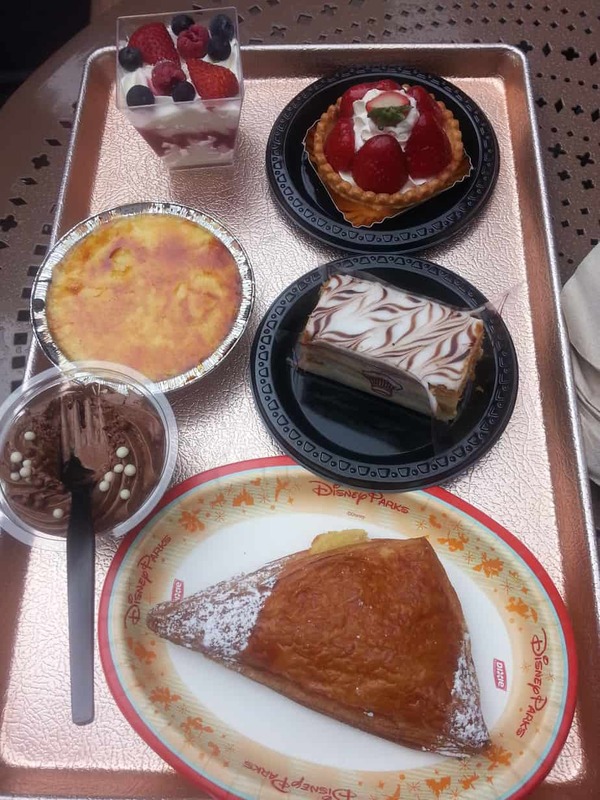 Les Halles Boulangerie-Patisserie in Epcot’s France Pavilion has delicious Créme Brûlée and just a few other snacking options (as you can see)!! 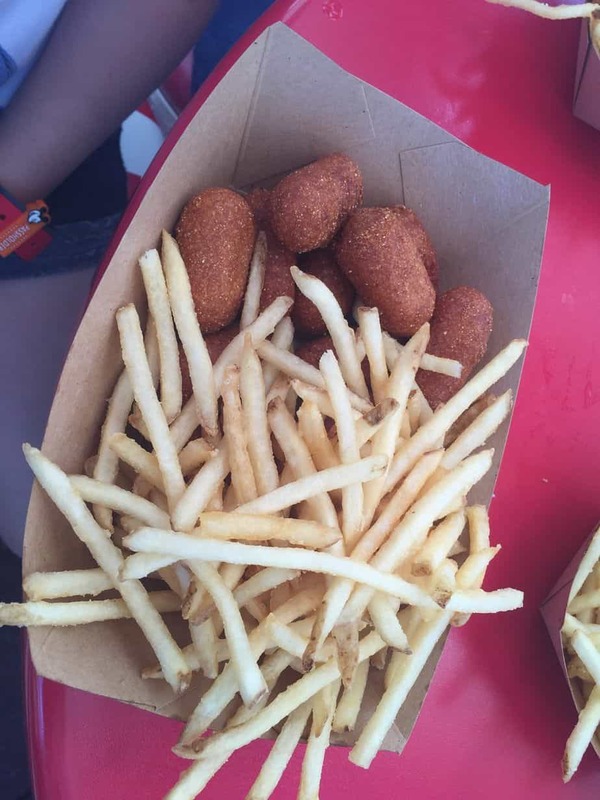 How about corn dog nuggets from Casey’s corner in the Magic Kingdom? So yummy! Some snacks are FREE! Yep, if you are enjoying Mickey’s Very Merry Christmas Party, you will get to sample some pretty awesome snacks, for FREE! A few of you liked Walt Disney World’s Funnel Cakes and honestly, this is my personal number one! 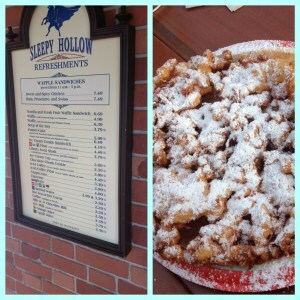 I love the Funnel Cakes from Sleepy Hollow Refreshments at the Magic Kingdom. 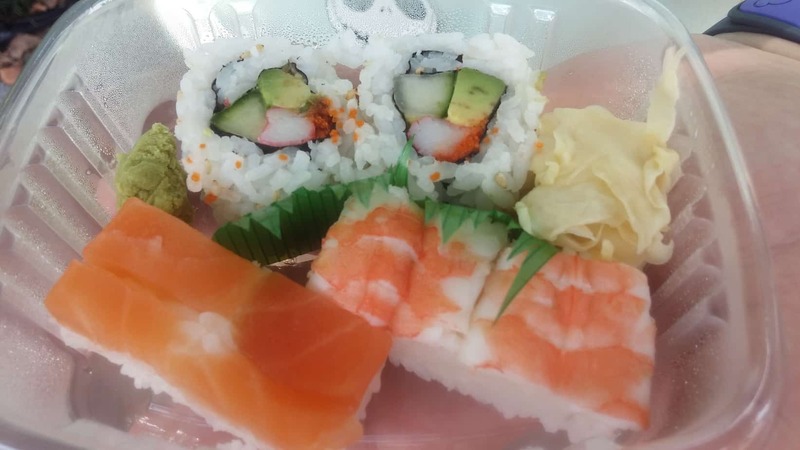 Sushi is a great snack, too! This little jewel is from the Katsura Grill in Epcot’s Japan Pavilion! Lemon Slushes are a “must” in my family and obviously in some of yours too! Very refreshing! You can find our favorite at Cheshire Cafe in Magic Kingdom. 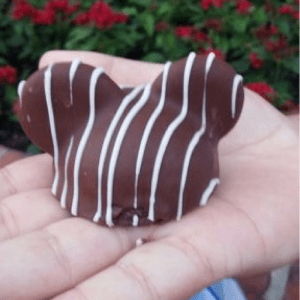 Mickey Shaped Rice Krispie Treats can be found all over Walt Disney World or Disneyland. If you are at Walt Disney World look at your Disney resort, I always find mine there! 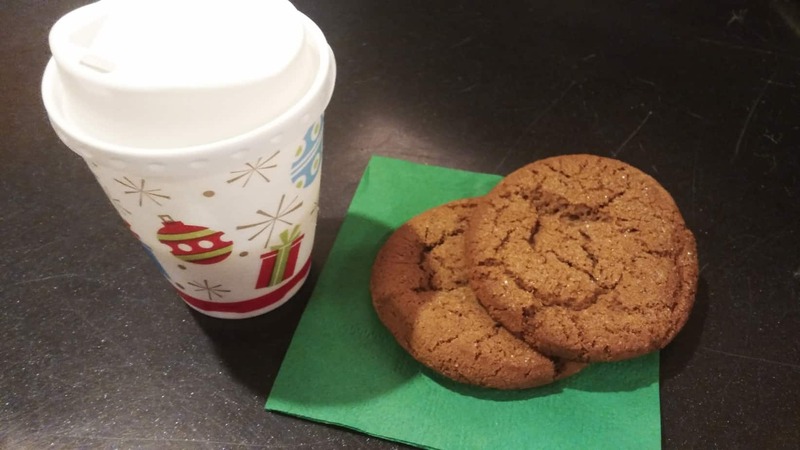 Starbucks made the snack list and why shouldn’t it? 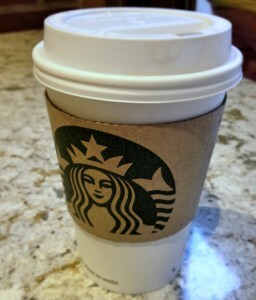 Starbucks is my Disney fuel for sure! We LOVE to get gift cards and use them here! Almost everyone who has ever gone to any of the Disney Parks has eaten Mickey waffles and love them! 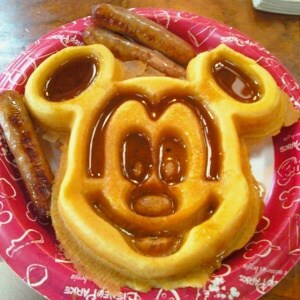 Rightfully so, who wouldn’t love to eat waffles in the shape of Mickey Mouse topped with syrup? Yum! Mickey Bars came in on top for sure! Everyone loves these famous chocolate coated ice cream bars! I mean seriously, HOW can you go wrong with chocolate AND ice cream?! We will NOT leave out one of the best snacks in Disney World! 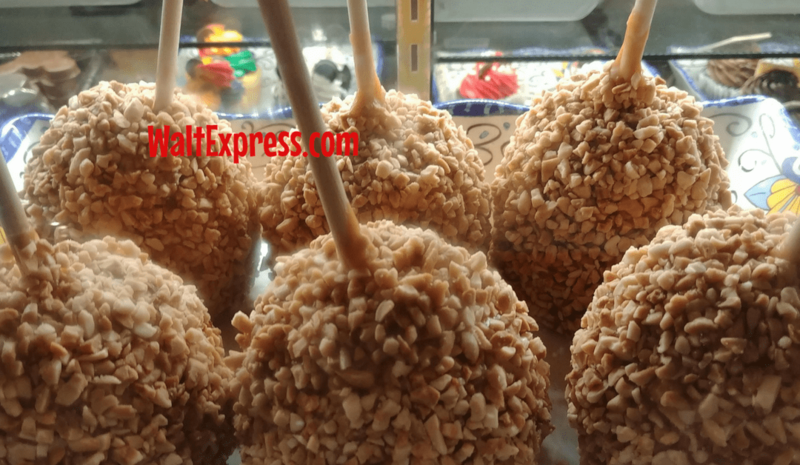 That is the Cake Pop…these little lumptious goodies are found in several places, but the best place is at the Main Street Confectionery at the Magic Kingdom Park. This last one came in very close! Churros!! Without further ado, the number one snack at Disney Parks is the Dole Whip, by far! This tropical treat won by a landslide! 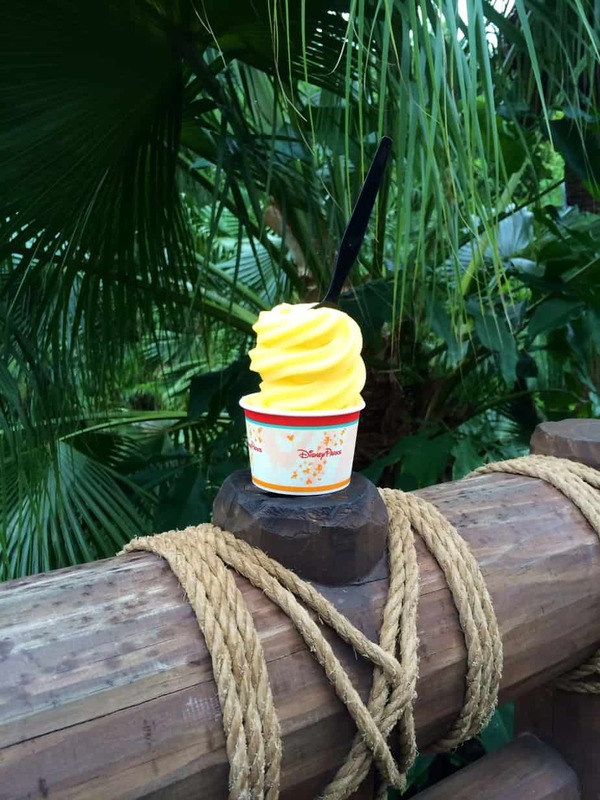 No matter how you like your dole whip…. with or without Rum. It is a classic to Disney and Disney lovers from all over and WE love them! At special events, such as Mickey’s Not So Scary Halloween Party and Mickey’s Very Merry Christmas Party, you may even find specialty, “whips”! Some snacks are large enough to share-not that I always recommend sharing!! Sometimes I am greedy with my snacks! Not all snacks shown here are on the Disney Dining Plans. So there you have it! 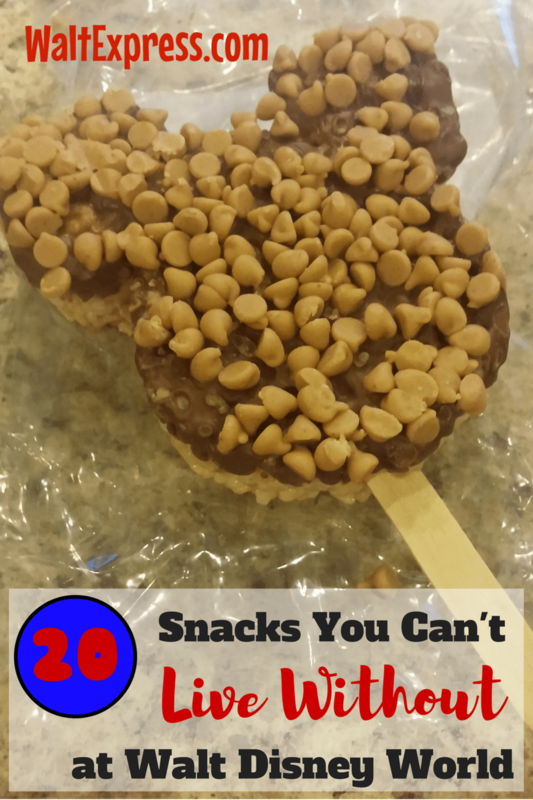 20 snacks you can’t live without! Which snacks will you be trying on your next Disney vacation? Which ones are your “must have/go to” snacks?